Premarital counseling can help ensure that you and your partner have a strong, healthy relationship. This will give you a better chance for a stable and satisfying marriage. Premarital counseling can also help you identify weaknesses that may become larger problems during marriage. Good marriages don’t happen by accident. Many issues can be resolved prior to marriage with the help of a therapist. Common issues addressed may include work, finances, lifestyle, spending habits, credit card balances, student loans, savings, retirement planning, roles and responsibilities, children, parenting, in-laws, and leisure and fun. Marriage requires an understanding of yourself, your future spouse, and the tools and skills you need to make it work. Does your significant other have a Mood Disorder? Issues with alcohol or substances? 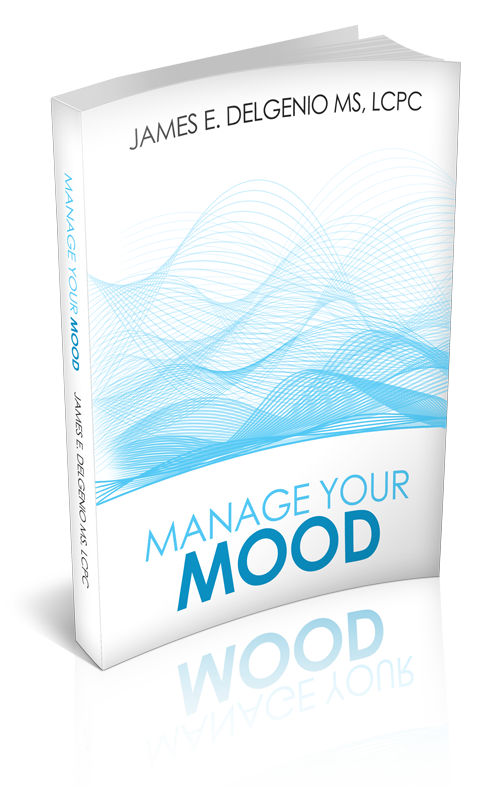 Some moodiness is a part of everyone’s life; sometimes we feel happy, other times we are sad; some days we have lots of energy, while at other times we may be fatigued and unmotivated. When mood changes interfere with your ability to function, work or go to school, when they harm your relationships significantly, when they cause you to miss sleep, abuse drugs, or behave in ways you later regret, or when they lead to risky behaviors, thoughts of suicide, or losing touch with reality, your mood requires professional attention. If this sounds like you’re intended. All is not lost. The key factor in this decision is Denial. If your partner tends to deny issues now, do you really think it is going to get better later? • Willing to seek help? • In need of psycho-education and symptom management? • Willing to take medication, if prescribed? • Willing to honestly address alcohol and substance abuse issues? • Willing to see a therapist for relationship issues and support? It’s not going to get better if your intended is in denial. Get out while you still can! Work on resolving conflicts in a civil and respectful way. Lack of civility and respect will eventually be the undoing of any relationship. It is possible to argue, resolve conflicts, and agree to disagree in a respectful manner. In order to do this, all couples need rules of engagement for conflict. It is important that couples express how they feel, but this needs to be done in a very caring and respectful manner. This definitely means there should be civility and respect when conflict occurs. That means no hitting (of course), no yelling, no swearing, no screaming, name calling or sarcasm. I encourage you to look at yourself and your relationship with your intended. Are you holding onto resentments? If so, you will need a therapist to help resolve this and teach you how to fight with civility and respect. One of the biggest causes of problems in a relationship is differences in values and goals and habits when it comes to money, and especially communication about money issues. As it is often said, Money can’t buy you love, but it sure can tear it apart. This makes a discussion of finances necessary before marriage. Learn how to talk about money, and align your financial goals. If you can do those two things, you’ve done more than many couples, and you’ve done a lot to start your relationship off on solid ground. Goals should include the following: savings, pension contributions, retirement planning, current debt, discretionary spending, school loans and the use of credit cards. How will you handle school loans and debt brought into the marriage? I recommend meeting with a financial planner to discuss issues such as spending, use of credit cards and financial goals. A family is made up of many unique individuals, each with a range of thoughts and opinions on almost every subject and situation. Add to the mix extended family with their countless beliefs and personal opinions and there is no wonder there are disagreements from time to time. Conflict is simply the natural and healthy progression of any relationship. Some questions to explore – What sort of relationship do you have with your extended family? Are they local? Do they like your fiancee? Are they affectionate? Are they over-involved or critical? Have there been any major conflicts or issues? I suggest that couples begin to see themselves as their own family unit. When addressing family of origin, always say that “we” will have to discuss the event or holiday and that he or she should respond to their own family of origin. This potentially contentious issue should always be discussed in premarital counseling. The first step is to seek a better understanding of your future spouse’s religious and spiritual background and beliefs. • How to reconcile differing ideologies and practices. • How to observe and celebrate each other’s holidays. • How to raise children so that they are exposed to both traditions. • How to integrate both extended families, especially during the wedding/holidays. Joe is not religious; Mary is and expects to go to Church every week. What if they did marry and have children; would Joe go to Church then? What if Joe is Catholic and Mary is Jewish? Will one of you convert? Does it matter at all? What will the respective families say? That is a big question especially in regard to children. “What do you mean; you are not going to raise the baby Catholic? Jewish?” For some, the consequences of that decision may be long lasting or a deal breaker. It is clearly better to decide before marriage and tell both families about your decision. In discussions with the extended families, always use the phrase “we” have decided. Do you want children? How many and when? Are there already children from previous relationships? What do you expect from your spouse regarding parenting/step parenting roles? When a problem arises, how does my partner communicate? What are the responsibilities of each parent in raising a child? I strongly recommend that you have two to four years together as a couple before you have children. This time is critical, it gives you the opportunity to get to know one another as a married couple. Children don’t bring you closer together; they create stress and sometimes distance especially if you and your spouse are not on the same page regarding roles and responsibilities. There is even more stress when ex’s and step in-laws are in the picture. I believe that the children don’t come first; your relationship comes first. Now I have already stated that I have two children so I know on one level that statement is just BS. On the other hand, if you divorce it will be children that suffer most. Of course, my point is don’t forget to make time for your relationship after you have children. Planning for alone time or date night is a key component in addressing this issue. But above all – Parent as a team! What sort of lifestyle do you want? Will you both continue to work once you have children? Do you have the same idea of what is fun? Where will you want to live? Today most couples are comprised of two working parents. Couples want to maintain or improve the lifestyle they had going into the marriage. This is difficult in today’s economy and job market. For the first time in history, couples may not meet or exceed their parents’ lifestyle. The common expectation of employers today is long hours and work from home in the evening and on the weekend. This reduces quality time together. These forces necessitate compromise to make the most of the time you have together. Planning mutually enjoyable activities and social events, balanced with appropriate alone time is a key component in maintaining a strong relationship. There needs to be: me time, family time and especially couple time. When those are out of balance, conflict will occur. I believe that the blended family has more obstacles then most couples consider prior to marriage. This is truly the one area that needs to be addressed in premarital counseling. The blended family has all the pitfalls listed here times ten. Yours, mine and ours is not as easy as the Brady Bunch made it appear. There needs to be a lot of discussion around the ex’s involvement, parenting issues, finances and much more. You may not feel you NEED premarital counseling, but it is still wise choice to consider. You may be on cloud nine with the impending marriage but counseling may help bring up and resolve some difficult topics. Better to discuss issues before marriage then with a divorce attorney later. Not in the Chicago Area! Now I can work via face time with anyone in the country and it will still be covered by BCBS Insurance. For those in the metropolitan Chicago area, I have offices in Millennium Park on Michigan Avenue, and near 22nd St and Wolf Road in Westchester. Call 847-733-4300 Ext 638. Disclaimer: This material is meant to be used in conjunction with psychiatric treatment, medication, if necessary, when necessary, and supportive therapy. Always share this material and your questions about this material with your doctor and therapist. I really thank you for your information. This great article has really peaked my interest. I will take a note of your website and keep checking for new details about once per week. I opted in for your RSS feed as well. Quality posts is the crucial to attract the users to pay a quick visit the website, that’s what this site is providing. You are so interesting! I do not believe I’ve truly read a single thing like that before. So nice to find another person with genuine thoughts on this subject matter. Really.. many thanks for starting this up. This site is one thing that is required on the internet, someone with some originality! This blog is great; I really like studying your articles. Keep up the good work! Good day! I could hwve sworn I’ve been to this site before but after going through many of the posts I realized it’snew to me. Regardless, I’m definitely delighted I found it and I’ll be bookmarking it and checking back frequently! Spot on with this write-up, I seriously think this site needs a lot more attention. I’ll probably be returning to read more, thanks for the advice! I’ve read some really good stuff here. Certainly price bookmarking for revisiting. This is a fantastic informative web site. Thank you for the awesome write up. My brother recommended I might like this blog. He was totally right. This submit truly made my day. You can’t immagine just how much time I had spent looking for this information! Im really impressed by your blog. You’ve done a fantastic job. I will certainly dig it and individually suggest to my friends. I am sure they will be benefited from this site. you shared this info with us. Please keep us informed like this. I do believe all of the ideas you’ve presented for your post. They are really convincing and will definitely work. Thank you for the post. I discovered just what I was looking for. You have ended my 4 day lengthy hunt! I wish to say that this article is awesome, well written and it comes with vital info. I would like to look at more posts like this. This post is really nice and I have learned lot off things from it. thanks. I’ve read this publication and I wish to read more things about it! Hi, I do think this is a great website. I stumbled upon it. I’m going to come back once again since i have book-marked it. You’ve made some decent points there. I looked on the web to find out more about the issue and found most people will go along with your views on this issue. I just like the valuable info you supply for your articles. I will bookmark your weblog and check it again here frequently. I am reasonably certain I will learn much right here! Best of luck! Thanks for another informative post. Where else may I get that kind of info written in such a perfect approach. WOW just what I was searching for. thank you. done a formidable process and our whole group is thankful to you. Thank you a bunch for sharing this with all off us; you really know what you’re speaking about! Hi! I wish to say that this post is awesome, greatly written and comes with important info. I would like to look at more posts like this. Your style is unique compared to other people I have read. Thanks for posting. Guess I will just bookmark this blog. If some one wants to be updated with latest technologies then he must be pay a visit. This site and blog up to date every day. Right here is the right blog for anybody who wants to understand this topic. You know so much its almost tough to argue with you (not that I actually will need to…HaHa). You definitely put a brand new spin on a subject which has been written about for many years. Excellent stuff, just great! I got this web site from my buddy who informed me on the topic of this website and now this time I am visiting this site and reading very informative posts here. Hi there, You’ve done an excellent job. I definitely dig it and personally recommed it to my friends. I am confident they will benefit from this website. Having read this I believed it was really informative. I appreciate you taking the time and energy to put this article together. I once again find myself spending way too much time both reading and leaving comments. But so what, it was still worthwhile! My spouse and I absolutely love your blog annd find the majority of your post’s to be just what we are looking for. Again, awesome web site! I love what you write about. Such clever work and coverage! Keep up the awesome work; I’ve incorporated you guys to my personal blogroll. Thank you for another fantastic post. Great site to get that type of info in such a perfect manner of writing. I stumbled upon this I’ve found it positively useful and it has helped me out loads. I hope it aids other users like its helped me. Good job. I believe that site has a lot of significant information for me and I am happy reading your article. The website is ideal, the articles are really great. Good process, cheers! If you desire to increase your familiarity with this subject just keep visiting this web page and be updated with the most up-to-date news posted here. I read this article completely; it’s remarkable article. I am visiting this site on a regular basis, this website is genuinely fastidious and the people are in fact sharing good thoughts. Greetings! I’ve been reading your blog for a long time now and finally got the nerve to go ahead and give you a shout out from Humble Texas! Just wanted too mention keep up the good job! Thank you for the good write-up. I look forward to more from you! I like reading a post that can make people think, many thanks. Every weekend I used to pay a quick visit this web site, because I wish for enjoyment, as this web site is actually nice funny data too. Oh my goodness! Amazing article dude! Thank you so much, Thanx!! Good day! This is my 1st comment here so I just wanted to give a quick shout out and tell you I genuinely enjoy reading your articles. Thanks! I’ve been surfing on-line for hours, but I never discovered any fascinating article like yours. facts concerning my presentation topic, which I am going to deliver in college. What you say on in this piece in my view is really awesome for me. Woah! I’m really enjoyng the template/theme of this website. It’s simple, yet effective. A lot of times it’s tough to get that “perfect balance” between usability and visual appearance. I must say you’ve done a amazing job with this. Additionally, the blog loads extremely quick for me on Chrome. Outstanding Blog! You’re truly a webmaster. The contents are masterwork. You’ve performed a magnificent activity in this topic! Wow! Finally I got a webpage from where I can genuinely take valuable facts concerning my study and knowledge. If you desire to grow your knowledge keep visiting this web page and be updated with the most up-to-date relationship issues posted here. as well as myself. Keep up the good work – can’t wait to read more posts. It’s an awesome article for all couples; they will take full advantage of it I am sure. out. I like what I see saw; I am following you. Look forward to looking over your web page for a second time. Hello! Someone in my Facebook group shared this website with us so I came to give it a look. I’m definitely loving the information. I’m book-marking and will be tweeting this to my friends! Wonderful blog and wonderful style and design. and I am waiting for your further write ups. Thank you once again. Your mode of writing is actually very pleasant, everyone is able to effortlessly be aware of it, Thanks a lot. Greetings! I’ve been following our site for some time now and finally got the bravery to go ahead and give you a shout out from Austin Texas! Just wanted to say keep up the good job! My brother suggested I migbt like this website. He was once totally right. This writing truly made my day. You can not believe just how much time I had spent looking for this info! Thanks! Thank you so much for providing individuals with such a superb chance to discover important secrets from this blog. It’s usually so sweet plus jam-packed with fun for me and my office co-workers to search your web site the equivalent of 3 times a week to study the newest guidance you have. And definitely, I am happy considering the eye-popping knowledge you give. Well I definitely enjoyed studying it. This post by you is very constructive for correct planning. I enjoy you because of your own hard work on this web site. Gloria loves conducting research and it’s really obvious why. Most people learn all of the lively method you convey worthwhile guidance via your web blog and even encourage contribution from some others about this concept while our simple princess is now discovering so much. Enjoy the rest of the new year. You have been performing a really good job. Marvelous, what a web site it is! This web site provides valuable data too us, keep it up. I have read many articles but this is really a pleasant piece of writing, keep it up. Spot on with this write-up. I’ll probably be back again to read through more, thanks for the info! Amazing! It’s a genuinely amazing post. Wonderful site. A lot of helpful information here. I am sending it to several friends. And of course, thanks for your effort! Thanks for the marvelous posting! I genuinely enjoyed reading it. I will bookmark your blog and will definitely come back later. I want to encourage you to continue your great writing, Have a nice afternoon! I’m not that much of a online reader but your sites really nice, keep it up! Wondserful post! We are linking to this great post on our site. Everything is very open with a rally clear explanation of the issues. I most undoubtedly will make sure to not forget this site and give it a glance regularly. This blog could undeniably be one of the greatest in its niche. Excellent blog! Generally I do not learn much on blogs, but I would like to say that this write-up forced me to try and do so! Your writing has surprised me. Thank you for a nice article. make the most significant difference. Thanks a lot for sharing! You actually make it seem so easy with your presentation but I find this topic to be really something which I think I would never understand. It seems too complex and extremely broad for me. I’m looking forweard for your next post! Normally I do not learn much on blogs, however I wish to say that this write-up compelled me to read more. Your writing style has been amazing to me. Thanks, very great post. I’m really enjoying the design and layout of your site. It’s a very easy on the eyes which make it much more enjoyable for me to come here and visit more often. Great work! Your style is very unique compared to others I have read. visit to this site and be up to date every day. Hi! This is my firxt visit to your blog! We are a group of volunteers aand starting a new initiative in a community in tthe same niche. You have done a ourstanding job! whoah this weblog is great. I really like studying your posts. Keep up the good work! I’ve been exploring for any high quality articles or weblog posts on this subject. Exploring in Yahoo I finally stumbled upon this site. I will undoubtedly mawke sure to visit this website regularly. visit to this web site, it consists of usful Information. Thanks for the marvelous posting! I quite enjoyed reading it, you’re a great author. I will make certain to bookmark your blog and come back. I want to encourage you to continue your great posts, have a nice holiday weekend! These quality articles will attract the people to visit this web page, that’s what this web site is providing. This is wonderful blog: a fantastic read. I will certainly be back.